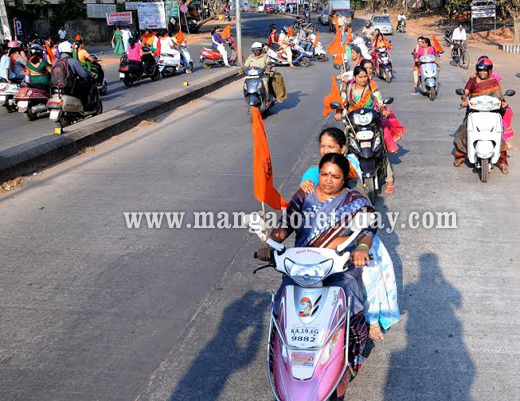 Mangaluru, Feb 27, 2015: Near one lakh people are expected to attend the Hindu Samajotsava at the Nehru Maidan here on March 1, according to M.B. Puranik, regional working president, Vishwa Hindu Parishad. Addressing media on Feb 26, he said that the convention organised to celebrate the golden jubilee of the parishad and not to exhibit the might and strength of Hindus. It was also to unite Hindus to face “future challenges”. Agreeing there were some “internal issues” within Hinduism, he said that they could be addressed through unity. He said that Hinduism respected those who did not believe in God. He said that a procession would be taken out from Ambedkar Circle to the maidan at 2 p.m. The stage function would start at 4 p.m. and end at 5.30 p.m. Pejawar Mutt seer Vishvesha Tirtha, Dharmadhikari of Dharmasthala D. Veerendra Heggade and Sadhwi Balika Saraswati from Madhya Pradesh will address the gathering. Vijaya Vittalanatha Shetty, president, Swarna Mahotsava Utsava Samiti, alleged that some forces were attempting to destabilise organising the utsava. Jagadeesh Shenava, district president, VHP, said that private bus owners have agreed to spare 500 buses for free to bring people to the convention. 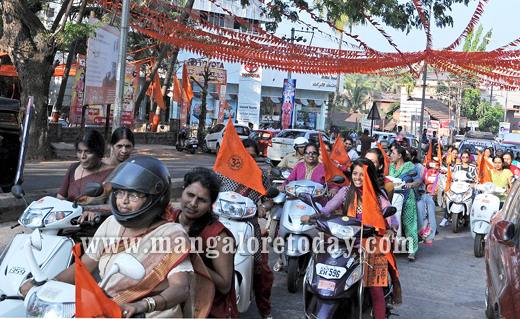 He said that though some attempts to provoke the organisers had been made, the VHP has exhibited tolerance. Peace meet : The district-level peace committee meeting is to be on Feb 27, at the office of the DK Deputy Commissioner, Mangaluru, at 3 p.m. ahead of the Hindu Samajotsava on March 1. District in-charge Minister B. Ramanath Rai would preside.